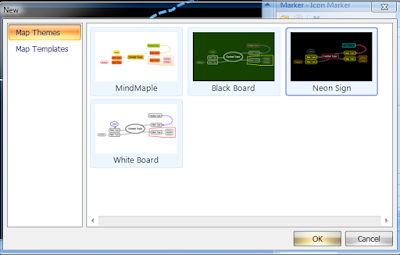 MindMaple is free download and nice for students, teachers who want to create mind mapping for working ,studying ,and presenting. Below is a simple steps overview how to start first making mind map by using MindMaple. If you are using MindMaple for the first time, use the following steps to start Mapping. B. New Map - Click “OK” after selecting your desired pane appearance. A. Click “Central Topic” in the center of the Map. B. This will start the text editor. Type in the Central Topic (title) of the Map. A. Add a “Main Topic” to the lead “Central Topic”. B. Click the “Main Topic” to start the text editor. C. Type in the Main Topic title. D. Repeat these steps when developing multiple Main Topics. A. 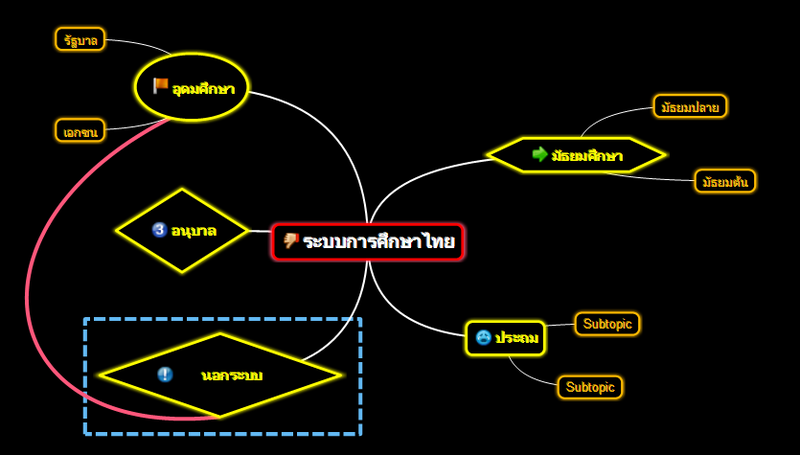 Add a Subtopic which will elaborate on the main contents. using the text editor of the selected Subtopic. A. If there is a related topic you can demonstrate this relationship with a connecting “Relationship” line. B. You can add a “Boundary” to combine or summarize specific topics and their subtopics. C. You can give an explanation by attaching a “Callout” to a “Relationship” or a “Boundary”. You can express in more detail through the attachment of images, Text and other files to a topic. A. You can enhance visual effects with “Insert Image” elements to a topic. B. Add an element of amplification to a topic. For example, give a detailed explanation by adding a “Note”, or set a “Task Schedule” for a topic by adding “Task Information”. D. Print out, store, or share completed documents. E. Share completed documents by “Exporting” to an external file. i. Word, PowerPoint, Excel, or Microsoft.